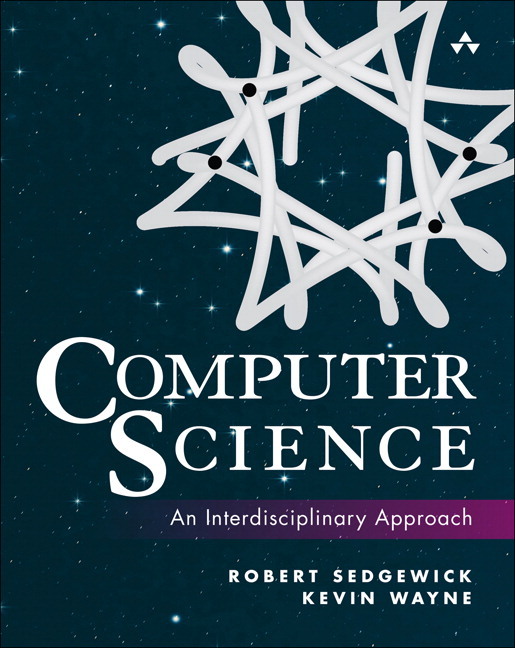 Robert Sedgewick is the William O. Baker Professor of Computer Science at Princeton University, where he was founding chairman of the Department of Computer Science. He has held visiting research positions at Xerox PARC, Institute for Defense Analyses, and INRIA, and served on the board of directors at Adobe Systems. His research interests include analytic combinatorics, design and analysis of algorithms and data structures, and program visualization. He has written seventeen books. Kevin Wayne is the Phillip Y. Goldman Senior Lecturer in Computer Science at Princeton University, where he has taught since 1998, earning several teaching awards. He is an ACM Distinguished Educator and holds a Ph.D. in operations research and industrial engineering from Cornell University.